Today we highlight tremendous business analyst and post-consulting leadership jobs at Square. Square is a San Francisco-based start-up that has been turning a lot of heads by “making commerce easy for everyone.” Their product suite includes Square Cash, which lets users send cash almost instantly, Square Reader, which allows anyone to accept credit cards anywhere, anytime for a low transaction rate; Square Register, which serves as a full point-of-sale system for businesses; Square Wallet, enabling individuals to pay at their favorite local businesses with their smartphones; and Square Capital, the highly lucrative merchant advance arm of Square’s portfolio. Square was founded in 2009 and offers its mobile payment and merchant services in the US, Canada and Japan. With around 1,000 employees and valued at over $6B, Square has experienced a rapid six years of growth. You might recognize Square’s CEO Jack Dorsey from one of his earlier projects, a little service called Twitter. Square prides itself on its fun, laid-back culture, and believes that its products are a reflection of that culture. Headquarters feature a coffee bar, world-class restaurant and workspaces with great views of San Francisco. Clean Streets is a company initiative that enables employees to give back to the community while on the job. Employees are offered an unlimited vacation policy, 4-month paid maternal/paternal leave and company-wide movie and game nights to allow individuals to bond over common interests. In case you hadn’t noticed, the benefits are exceptional, and the pay is above-average as well. The Square Reader allows any business, big or small, to easily collect payments from customers. In the same way, Square allows any employee in any role the freedom to be able to execute on a good idea. Engineers and designers work in concert in small teams; 90% of meeting spaces at the company’s offices are built for eight people or less. Square believes small teams working closely together are the best incubator for creative, innovative ideas. After all, a team of ten built Square Cash, which allows person-to-person money transfers via email, the app and online. Square’s most recent strategic new hire was brought on within the past year. Alex Petrov, former VP of Retail Marketing at PayPal and VP of Consumer Brands at Safeway, joined the company as Vice President of Partnerships. With this power-hitter on the team Square has already entered the market in Japan, and we’re expecting even bigger things ahead in the next year. This rapidly growing company has had to adjust on the fly to new challenges it has faced in its short history, including competing against much bigger companies such as PayPal. Therefore, Square is looking for innovative thinkers and learners who aren’t afraid of challenges and priorities shifting at a moment’s notice. They are also looking for individuals who fit into the Square culture and who can contribute from day one. 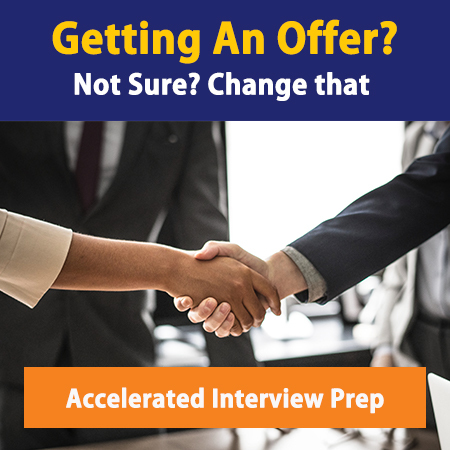 The typical hiring process from application to offer will vary largely depending upon the position that you are applying for, but you can expect the timeline to take anywhere from 3-6 weeks. First off, congratulations – you have passed the online coding test to earn an in-person interview! Expect this interview process to take all day. At the beginning of the day, you will have the chance to connect with the individual who will be your future manager if hired, and ask general questions to get acclimated to the culture. Then comes the meat and potatoes of the interview: three one-hour sessions of pair programming with a veteran engineer. Square believes pair programming allows them to see your technical skill and people skills on display at once. It’s what an actual work day at Square might look like. Once this portion of the process is complete, an engineer will accompany you to lunch on the premises. After lunch, you will head to a different kind of interview. For 40 minutes, you will sit down with two Square engineers who will work to find your strengths. In this part of the day, they are looking for the “kindness, creativity, integrity, and willingness to try difficult things that might have been missed during other parts of the interview.” Square states that they don’t care as much about hearing the right answers to their technical skill questions as they are looking for a healthy interaction between you and them, while still getting an idea of your skill level. Square readily admits making mistakes is part of the creative process, so it’s not about having a perfect resume. Rather, Square’s highest priority is finding a smart, passionate candidate who is willing to learn and fits in with its culture. Be prepared before interviewing as the questions you will receive are both behavioral (“How do you manage a project?” and “How do you keep organized?”) and technical (dealing with algorithms and string manipulation) in nature. They are known to be thorough interviewers, so don’t even think about going in unprepared. After you receive an offer, Square generally doesn’t negotiate much. Depending on the package there may be a little room to go back and forth: don’t expect much, but you can always ask. This is mostly due to the already competitive nature of their pay scale, and the incredible benefits package they provide. Square is a rapidly growing company making life easier for businesses and consumers alike. With a mission-driven purpose and impressive culture, they are one of Silicon Valley’s premier employers. For more info, visit Square’s Career site. As always, network, network, network, and ask the right questions to see if this is the next best fit for you. Are you looking for a consulting or post consulting job but don’t know where to look? Tired of going through headhunters and receiving minimal prospects? Want access to Management Consulted’s exclusive list of consulting and post consulting jobs if so then click here to gain access to our job board. Check out some of the other firms that we have profiled below.